At the start of the year, I learned about content curation from Kelly McCausey. Basically, in a nutshell, this involves finding and sharing great content from various sources with one’s list. I’ve been updating my presence on some social media sites, and found this great video about Google+ and Google Circles that I thought might be helpful for those of you who are not familiar with how to use Google+. Connect with me here on Google+. The video is private…so we can’t view it. However, I know circles are awesome! 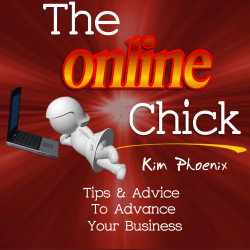 I have tried adding you to one of mine circles on my profile page for PLR providers…but it doesn’t seem to save! Hmmm….let me see what is wrong, Susan! Thanks for letting me know. Well, I figured out what the problem is. The original video I had uploaded to my site here was created by Google, but it is now marked private…not sure why. So I found a different video (although it’s not quite as good as the first), and that is the video that I have included above now.